Discover live entertainment at the Kingdom of Dreams or Cyber Hub, shop the deals at Ambience Mall or enjoy family time at Oysters Water Park, all within minutes of the Country Inn & Suites, Gurgaon on National Highway 8. 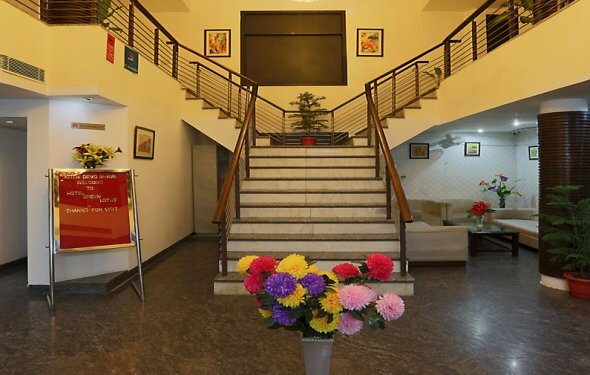 For added convenience, this hotel's site in Delhi is near the DEL Airport, just seven kilometres away, in Gurgaon, Udyog Vihar. Tour the architectural wonder of the Lotus temple, explore Chandni Chowk marketplace or walk the grounds at Humayun's Tomb. Browse the more than 200 stores at this adjacent mall, where you can also find entertainment venues, restaurants and coffee shops for hours of enjoyment. Check out the pubs, restaurants and special events at DLF Cyber Hub, near the hotel. Providing fun for all ages, the Kingdom of Dreams is India's first live entertainment, theatre and leisure destination. For wholesome family time, visit Oysters Water Park, a top-notch amusement and entertainment destination. This bustling market boasts an incredible range of goods and makes for a great place to experience all the sights and sounds of India. Dotted with international retail shops, Connaught Place is the business and financial centre of New Delhi. A UNESCO World Heritage Site, this must-see building houses the main tomb of the Emperor Humayun and the tombs of his family. An annual event, this major business and trade fair attracts an enormous number of businesses from around the world. Don't miss a stop at this architectural wonder, the Bahá'í Temple, or Lotus Temple, a popular site for visitors of all faiths. Another architectural marvel you won't want to miss, Qutub Minar is the world's tallest brick minaret. Pause to learn more about India's military history with a stop at Red Fort, surrounded by beautiful red sandstone walls that date back to the 1600s.